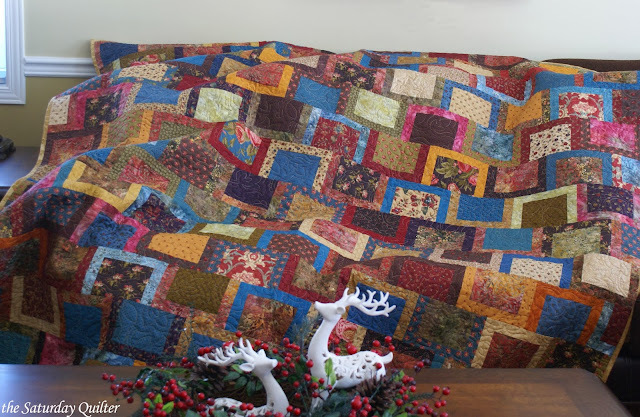 I managed to finish two quilts for Christmas. The binding was on just in time to give these as gifts on Christmas Eve. 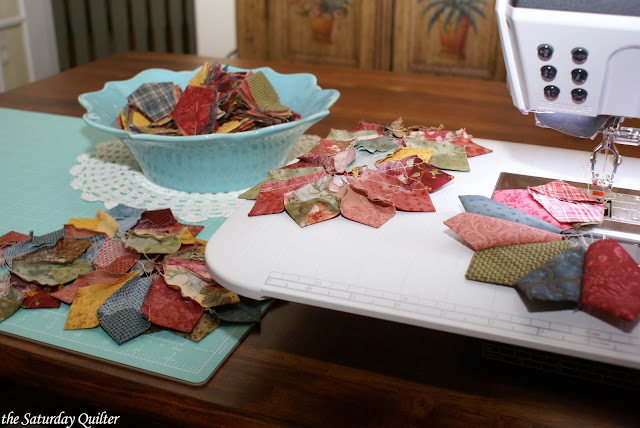 The next one is another quilt based on a pattern from Cluck Cluck Sew. 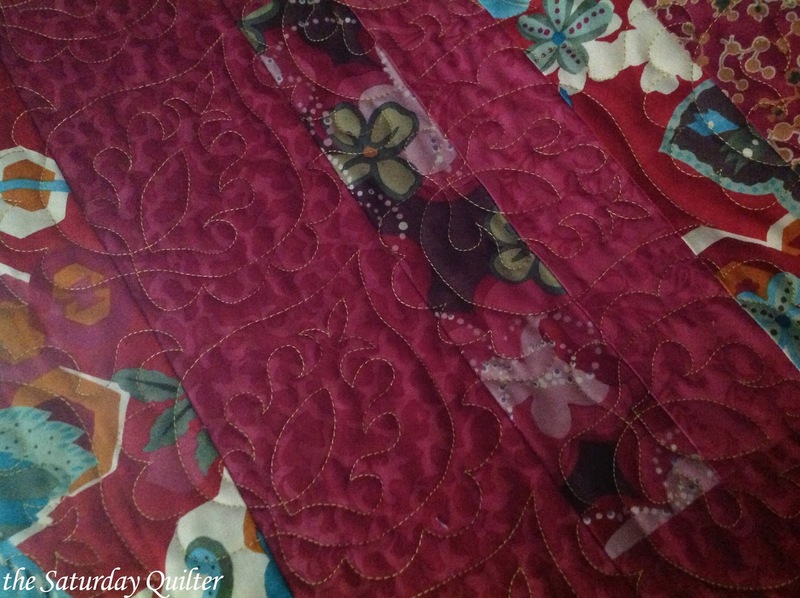 which nicely uses up a jelly roll. I quilted an allover panto called Lace which was also great fun to stitch. I used gold thread which I thought was fairly bold but I love the finished look. Now, with a few more days off work this week, I am happily back to piecing my Dresden plate blocks. 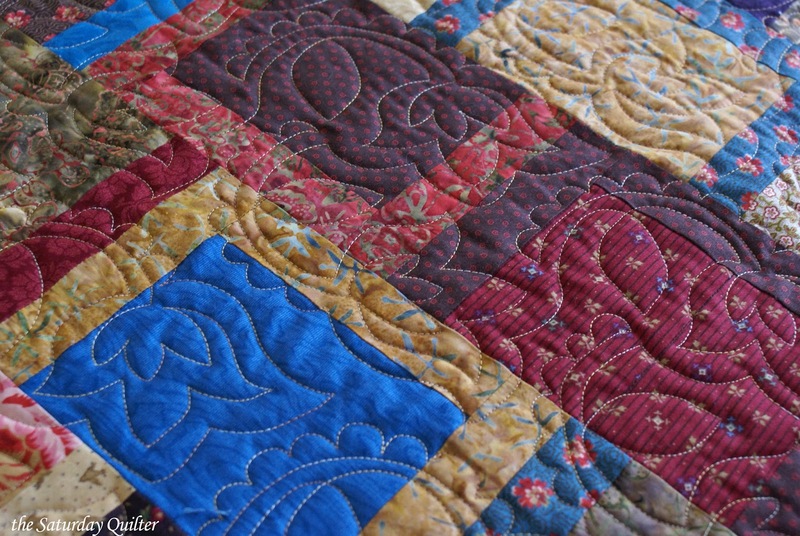 Wishing everyone a Happy New Year and hope you find lots of time to quilt in 2014. What a nice pattern that first one is -- a great way to show off a nice collection. And I love both the pantos too! Happy New Year! 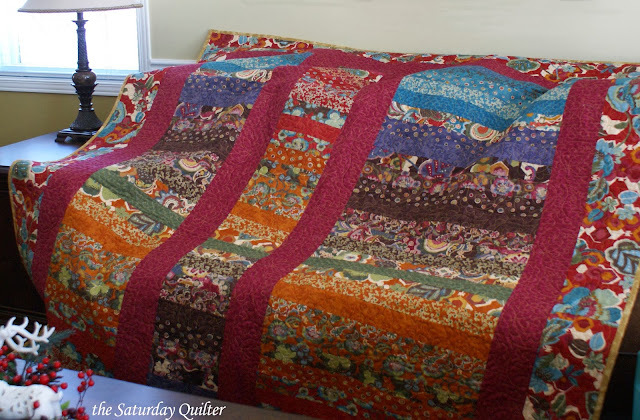 What a terrific way to finish 2013 and such lovely quilts. Looking forward to seeing the progress on your Dresden. Thank you so much again, I truly love my quilt! It is beautifully crafted and I will cherish it always. You are vey welcome Stephanie. Your quilt was made and given with lots of love.